Life is never all cupcakes and rainbows. We all know that, but even still, sometimes things in life can truly get us down. I know there are far worse things than my predicament that people deal with, the loss of someone close to them, the illness of a loved one, losing a job and so many other things. But my life altering injury, though only for a couple months, hit me hard. I'm an active person. I love to play volleyball, I love to take my dog out, to grocery shop and meal plan, and go out with my friends. All that came crashing down the evening of January 14th. More than losing the ability to do the things I love, I also lost the ability to do the small things - get around my house easily or sleep under the covers. And those things almost weighed even heavier on me. I tend to be a pretty positive person. When I do feel really down though, as I have in the past couple weeks, I have some strategies I use to get that smile back on my face. Here are my tips for getting through those tough times. 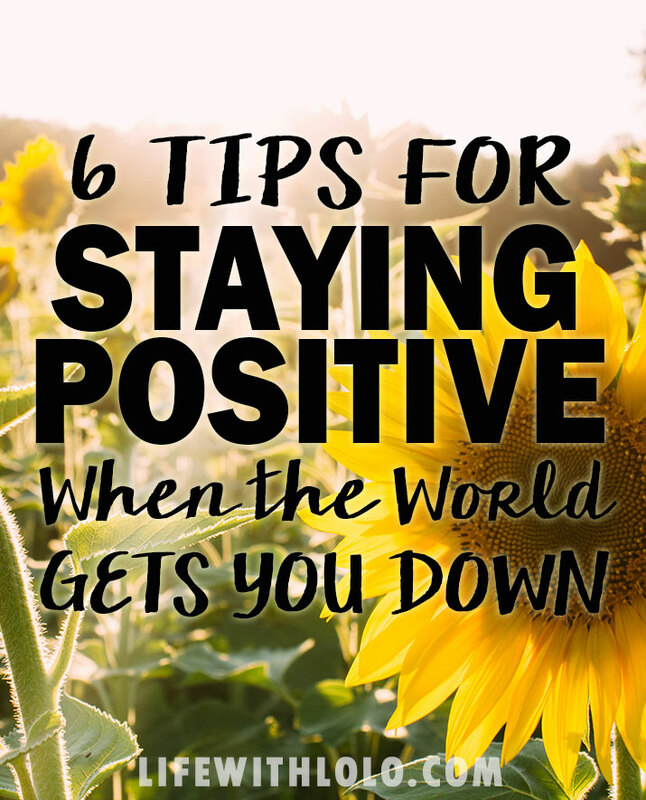 It might take just one thing to turn it around or you might need all six! 1. Pick something positive in the future to focus on. Do you have a trip coming up? A girls night, a birthday or even your favorite workout class later that day? Pick ONE THING that you are excited for and focus your energy on that. It helps take up the space in your head that is worrying or sad. For me I've been focused on how excited I am for my new job! 2. Treat yo' self. I hope everyone has this in their bad day arsenal. When you are feeling down, get something that makes you happy. For me it's flowers. It could be a cup of coffee or a cookie, or maybe a new workout outfit or scarf. Maybe you get a massage or a pedicure. Whatever you need to feel better about yourself. 3. Count your blessings. No matter how hard life can get, you still probably have a lot going for you - family, friends, a warm place to sleep, clothes in the closet and food in the fridge. When you think of all you do have, it helps take your mind off of what you may be lacking or missing. It always works to warm my heart a bit. 4. Fake it till you make it. Sometimes you just have to put a smile on your face and pretend you are alright. The funny part? If you do that, oftentimes you can even convince yourself! Putting on a positive front, even if you don't have the backup inside you, can really help get you through something. 5. Let it out. Then there are the times #4 doesn't work. It may be best for you to let it out. Cry, scream, complain, hyperventilate, just get it out of your system! Just talk to someone. I finally did this last week and I felt so much better. I felt like a weight had been lifted off my shoulders so that even if the person I exploded on didn't quite understand it (sorry BF) he at least knew I was NOT ok.
6. When all else fails, go to bed. Take a nap or go to bed early. You don't have to make dinner or do laundry or go through with those plans you made. Cancel, unplug, and collapse into your safe place. Turn your mind off and let yourself drift away. This too has been a saving grace for me over the last couple weeks. When it's too hard I sleep it off. I always wake up with a more positive outlook on life. Tell me, what do you do when you are feeling down? I love this so much because positivity is such a huge goal for me this year (and every year). Reading really helps me when I feel down because it takes my mind off whatever is going on. flowers. all the flowers! and definitely faking it till I make it. hang in there girlie!! I do all of these things and you are right. Sometimes the fake it till you make it strategy works better than you think when you start. You can trick yourself. Treat yo-self is also a favorite of mine. Hang in there lady! 2 days till we can celebrate some big success!!! TREAT YOSELF is my go-to. why not? life is short and we all need a little pick me up once in a while. hang in there!! Great tips! Sometimes you just have to cry...it makes it all seem so much less scary. I love this! I think all of these things are super important. And I'm totally convinced that sometimes crying is the best medicine! YES! Counting your blessings is huge. I always try to remind myself how lucky I really am, and how it could ALWAYS be worse. Love the last one girl, definitely my go to when things are just poopy, sometimes a good nap just helps! That and buying pretty flowers :D! Sometimes all I need is a nap or a good workout to get myself out of whatever funk I'm in. My boyfriend will even my like, "You seem a but down.... let's just take a nap" haha because he knows how much it helps me. 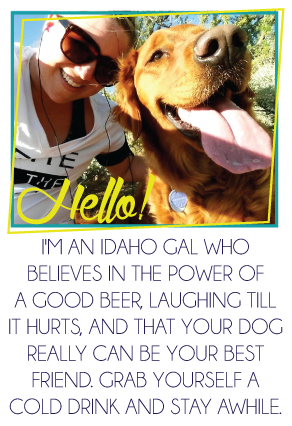 Awesome post, girl! This is an awesome list. I love treating myself...sometimes a bit too much and I treat myself when I really don't need it haha. love this. sometimes you just need to cry, or fake it, or whatever. having something to look forward to always makes me feel better!